BYS: PROJECT: Daehyun's 21st birthday: Donate & Send your HBD cover! PROJECT: Daehyun's 21st birthday: Donate & Send your HBD cover! Help BAPYProjects to reach the goal! BAPYProjects Team is back with another birthday celebration project! B.A.P YES SIR! will be one of the partner fanbases again! 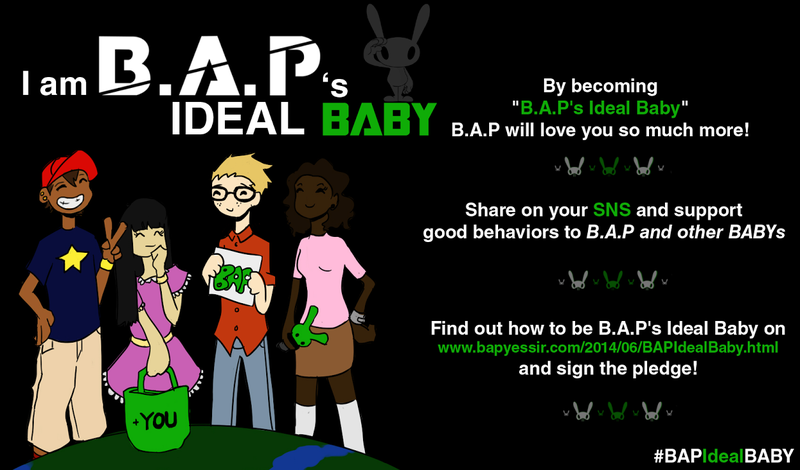 So BABYz, especially Daewons, please join and support this project! In this sweet celebration, we will be donating to ‘Power of a Mom’ movement, through ‘blood:water’ organization, on behalf of Jung Daehyun’s name. This donation will help in building proper maternity ward for mothers in Africa. 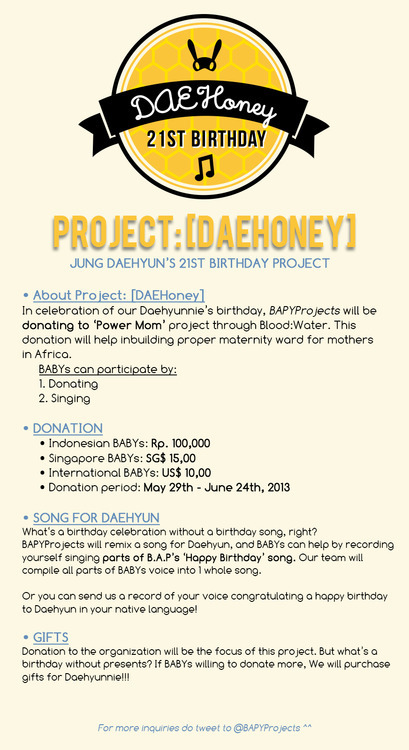 Other than donating, BABYs can participate by singing for our birthday boy. After all, what’s a birthday celebration without a birthday song, right? BABYs can record a part of themselves singing parts of B.A.P’s “Happy Birthday” song, and our team will compile it into 1 whole song. Isn’t it great to sing personally for Daehyun? 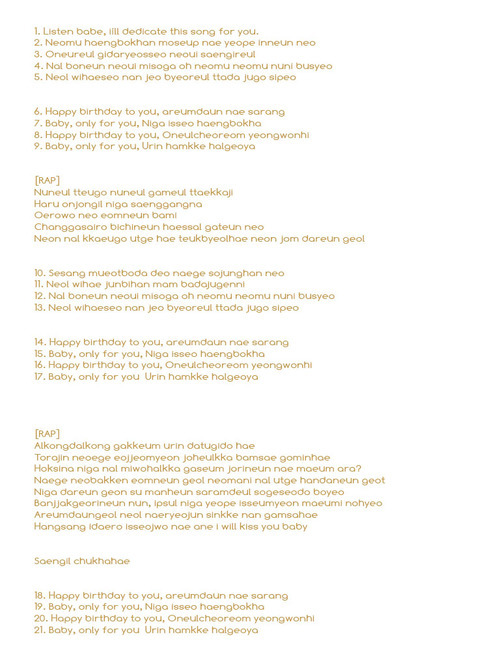 We’ve divided the song into several different parts, you can check below to see which part you think you can sing best. Then you can send us the mp3 file through email, or you can upload your voice in soundcloud account and email us the link for us to download. For the rap, is one person doing the whole thing or just one line? You can do the whole thing! Is anyone doing lines 1-6? im doing 6-8 >< witch email do i send ? Can i do the rap?? Do i rap all the rap parts then or what? And when is it due? Do you want it acapella or can we have the song in the background? can we sing more than one parts if we can't decide? i wonder if you received my email? Email: vanessa....gmail.com I did the rap part only? If so, could we have a look/ listen at the final thing?